How Can We Improve Citizens Lives by Reimagining Cities in the Digital Age? Our lives have been forever changed due to new digitally enabled intelligent buildings, utilities, automobiles and transportation systems, mobile consumer experiences and more. Mega technology trends like the Internet of Things (IoT), artificial intelligence, machine learning, Blockchain, contactless payment systems, in-memory computing, cloud computing, and mobility have all converged to transform how we consume services, buy products, telecommute, stay safe and live our lives’. 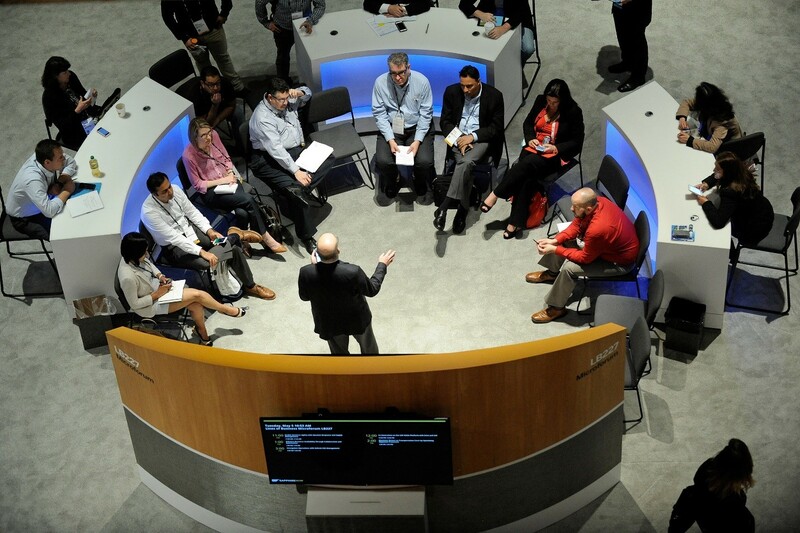 SAPPHIRENOW attendees from the automotive, telecom, travel, transportation, utilities, public sector and engineering and construction industries should join us to discuss how we can take advantage of new digital capabilities that link our industries with the fabric of a city and are interwoven to the point of inseparability. How can we harness business networks to enable economic growth? What policy improvements are needed to improve economic growth without sacrificing data protection and privacy? How can we use digital technologies to engage consumers/citizens easier? How can we use data better to solve city relevant issues? How can digital technologies to fulfill the multimodel mobility vision? How can we embrace digital technologies to transform asset and infrastructure management? How can we use data to maximize benefit from scarce public funds? How can machine learning help optimize mobility, transportation, infrastructure, safety and services? The interactive discussion will take place in the industries campus on the show floor from 5:00 to 5:40 PM on Wednesday May 17th.